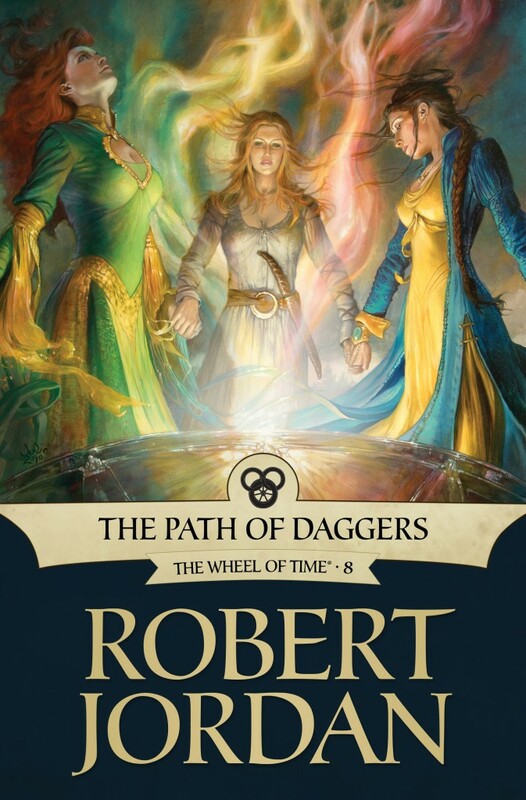 Book 8 of "The Wheel of Time"
SYNOPSIS - The phenomenal tale that is mesmerizing a generation of readers now continues. When a woman plays the fool, look for the man. Kittens tangle your yarn, men tangle your wits, and it's simple as breathing for both. 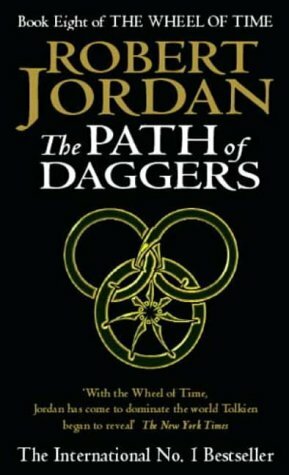 FL Speak - After a gap of more than a month, I return with The Wheel of Time reviews. With only 3 months until the final book of the epic series is published, the 22 year long epic is about to end. So where were we?? Oh yes, Sammael is dead. That's another of those dreaded Forsaken dead. But the Dark One is still getting stronger. And Rand is beginning to lose it. He's beginning to lose himself to the voice in his head, to the memories of Lews Therin Telamon, the previous Dragon Reborn who damned the world. This book is more about the girls, Nynaeve, Elayne, Egwene, Birgitte. Even though I like women very, very much....I wish I could skip these. The stories of the boys are much more interesting. But the late Mr. Jordan knew how to keep everyone happy. The weather bowl that Elayne and Nynaeve found is finally being used to clear the weather. Rand is slowly but steadily growing mad. And he's trying to make himself colder in fear of being used by people around him. And that, specially, ain't working at all. When he used Callandor against the Seanchan for the second time, he almost obliterated his own army. What's good about this one is that, for once there is no going back and forth and re-repeating what already happened. Fans of Perrin would love this one, as he finally makes an appearance after his absence from the last book. Egwene is having the time of her life. She's trying to get all the Sisters accept her and she's doing a good job so far. And yet, there's a lot to go before she takes them to the White Tower. Mat, is missing! Yes, apparently he injured himself in the last book and taking this book off. So, with Mat, goes the Army of the Red Band, and with them, goes away the fun. But, Perrin has an important task, despite it being boring on many counts. I'm glad to see Faile go. That girl is so irritating. The Final Battle is coming. There's no doubt about that. And Rand is forced to make decisions he doesn't like. And he has only a handful of people he can trust. And now the Asha'man has betrayed him. Yeah, led by Dashiva, a few of the Asha'man that Rand himself has formed are after his life. Elsewhere, Perrin is after the self proclaimed Prophet of the Dragon. But things go from bad to worse when his wife Faile is kidnapped by the Shaido. 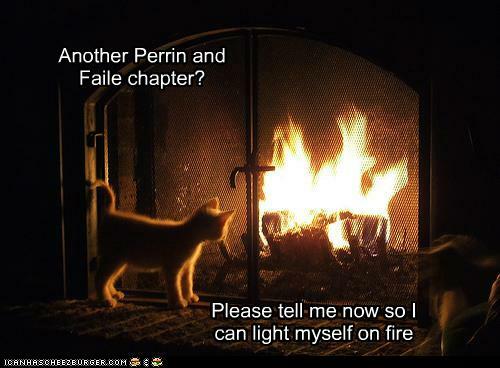 Now, Perrin needs to decide what he has to do. Chase after Faile and bring her back or tame the Prophet as Rand wants. The fight for humanity's survival is far from over. Twice the Dragon, for the price he must pay. //Sa souvraya niende misain ye// - I am lost in my own mind! Even though I am aware that I wouldn't do any justice to these series, if I pick them up, I absolutely LOVE to read your reviews. Especially the Old Tongue quote you give in the end. yeah..the story kinda drags in between. those women! aargh....need to read about the lads.